Tick-tock, tick-tock, that's the sound of the days counting down to Christmas. 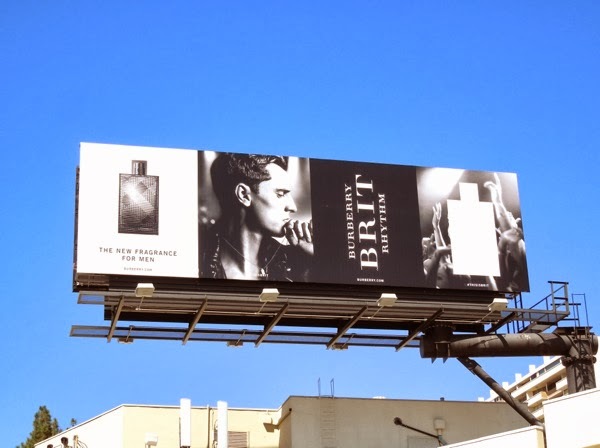 Do you have all your gifts sorted for the man in your life this year? 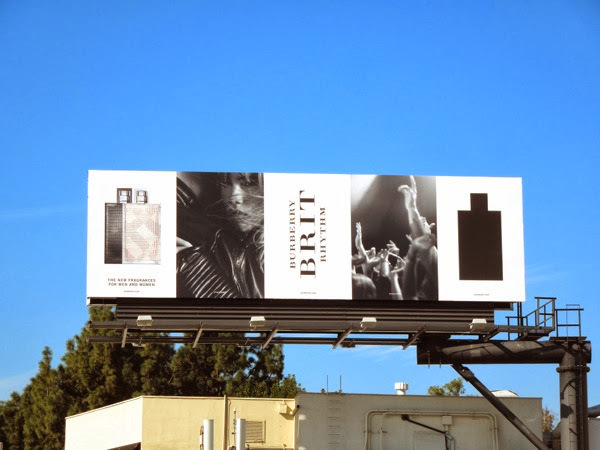 If you're in need of some inspiration, maybe a designer scent is the perfect stocking filler this festive season, like this new fragrance for men from British fashion powerhouse Burberry, Brit Rhythm. 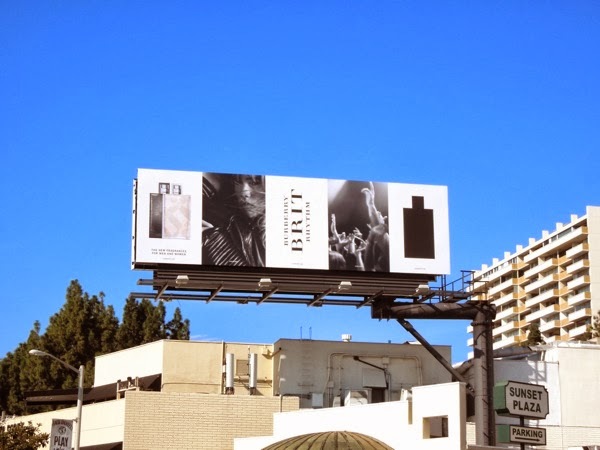 This stylish black and white billboard was snapped along Sunset Plaza on September 4, 2013 and features the modeling drummer from These New Puritans, George Barnett, to help give the fragrance a rocker edge inspired by music and leather. 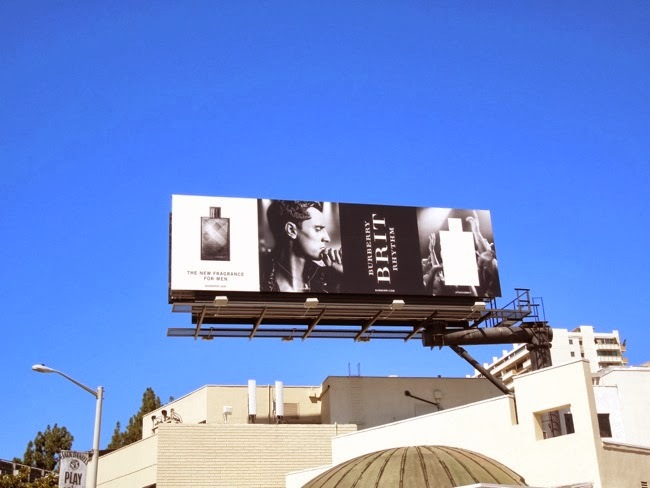 If you need even more festive stocking filler gift ideas, be sure to check out these other cool fragrance billboards for men and women. UPDATED: A few months later and it looks like there's a new addition to the Burberry Brit Rhythm offering, with fragrances now for him and for her. 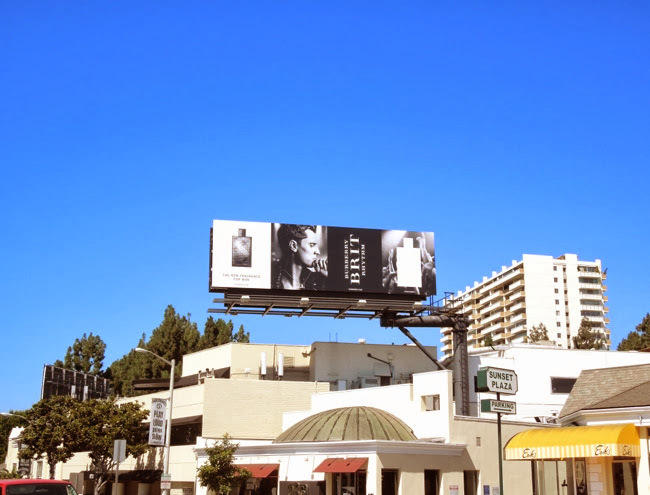 This new women's fragrance billboard, a progression of the original ad creative, featuring Suki Waterhouse was spotted in the same ad location along Sunset Plaza on February 5, 2014.